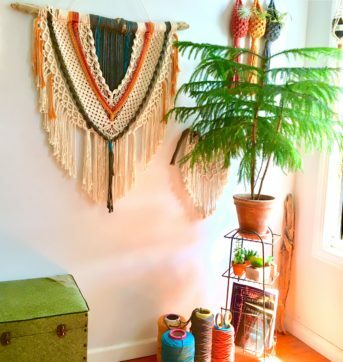 SHAKTI WEAVER: ORIGINAL HANDMADE WALL HANGINGS, PLANT PODS + SPIRITED ART. Macrame is a form of textile that uses knots, and differs in that way from knitting or weaving. 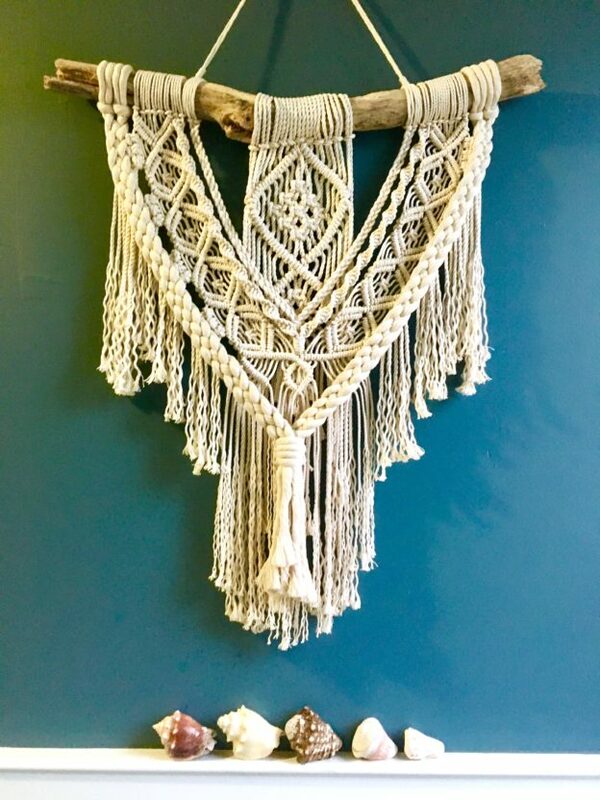 Thought to have originated as early as the 13th century in Arab and Turkish cultures, and made popular in the US during the 1970’s, macrame has trended forward again as hip design accents for home. 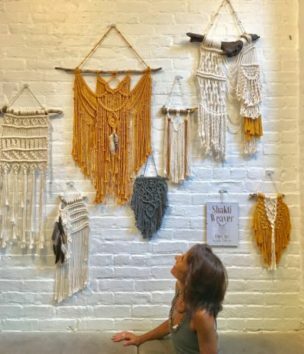 One night in the summer of 2017, I discovered amazing macrame designs on Instagram and got drawn into an IG vortex. I fell in love with the intricate designs, and the use of natural elements like cotton and driftwood. 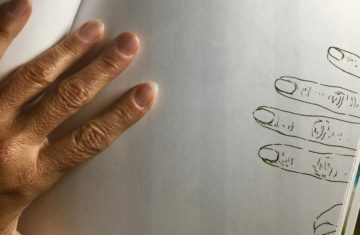 The next day I went to the craft shop and bought some basic supplies, found a You Tube video, and taught myself how to do it. I’ve been non-stop ever since. 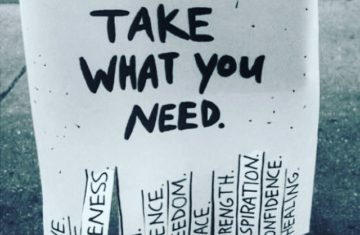 I have been featured in the market at Artists and Fleas Williamsburg, 5th Ave and 7th Ave Markets in Park Slope, and in the boutique at Bend and Bloom Yoga. Find my work for sale on Etsy, and I’m active on Instagram ! Custom orders welcome! 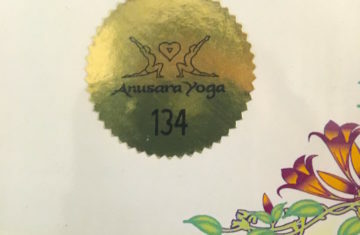 Email me: julie@shaktiyogany.com or DM me on Instagram! 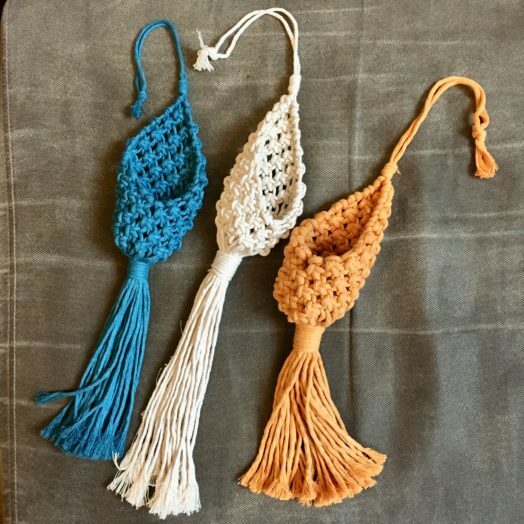 Want to learn how to macrame? 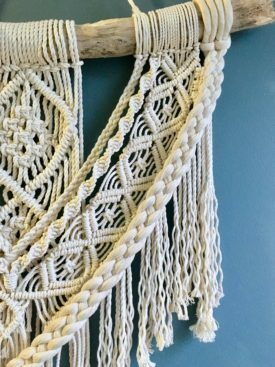 Join me for a 3 hour workshop where you’ll learn basic knots, techniques, tricks, designs, and make your own wall hanging!